One of the best things about this industry is it’s home to many family businesses. Multiple generations work in tandem, teaching and supporting one another. One of the best things about this industry is it’s home to many family businesses. Multiple generations work in tandem, teaching and supporting one another. 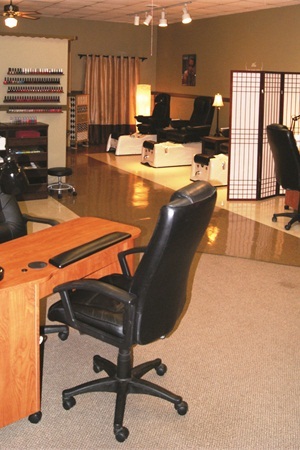 At Bella Nails and Boutique in Waverly, Iowa, owner Jessica Hanna has passed along her love of nails to her daughter McKayla Smith, a new tech and a booth renter at the salon. We asked mother and daughter what each has learned from working with the other. I have remembered where I came from and where I started. It has also made me remember how hard I’ve worked to get here and maintain the reputation I have through that journey. I have learned the importance of constantly educating my clients. McKayla is a new nail tech and is still learning herself. I can tell she is picking up on things as I educate my clients. After 12 years of doing nails it can sometimes be easy to become a “machine.” Having her here makes me incredibly proud and reminds me to keep the air light and the environment fun. I have learned how to handle clients on a professional level. At 19 there haven’t been many opportunities to exercise this yet in my life so I’m learning every day how to handle and approach new situations. I’ve learned the importance of doing a good consult before each appointment, not only to clarify the client’s expectations, but to get to know them and their personality a little more. I have learned the importance of keeping good records. I have a computer and paper trail of everything I have done and that makes me more comfortable and secure in case a situation comes up where I need it.